Join Nature NL on Saturday, Dec. 1st at 10:00am for birdwatching at Cape Spear. New and experienced birders alike are welcome to come explore diverse coastal species from the continent’s most easterly vantagepoint. 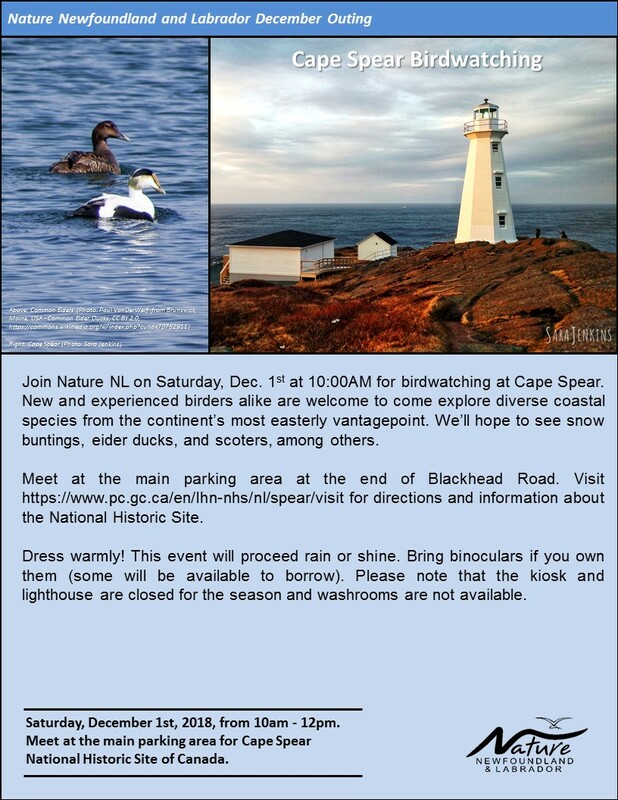 We’ll hope to see snow buntings, eider ducks, and scoters, among others. Dress warmly! This event will proceed rain or shine. Bring binoculars if you own them (some will be available to borrow). 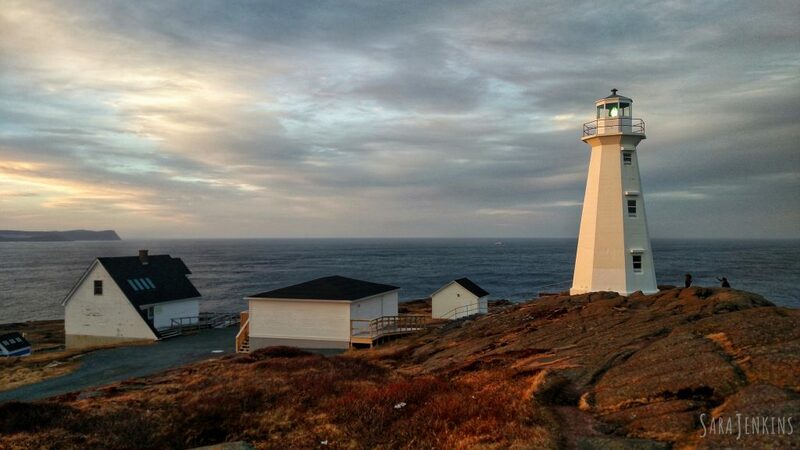 Please note that the kiosk and lighthouse are closed for the season and washrooms are not available.